The Pembroke Community began about 1782-1785 when John Montgomery and James Davis, first settlers of Christian County, entered the southeastern area of the county by water navigation from Tennessee and built a blockhouse on Montgomery Creek. By 1800, several families were in the area, and Salubria Springs was the first village, a little northwest on the Hopkinsville – Nashville Road. The town of Pembroke began when a post office was established in September 1836. The following 25 years saw Pembroke grow to a progressive town. Being in the best agricultural area of the county, families of wealth settled on large landholdings. The town was incorporated when the railroad was put through from Hopkinsville to Guthrie in 1868, with several business places. By 1900, Pembroke was a sizeable town with about 50 business places. Pembroke was noted for its famous horse shows. Special trains came in from Hopkinsville, New York did publications on them, Vanderbilts attended the shows, the Ackerman House Hostelry accommodated the guests. In the first quarter of 1900, Pembroke had a Strawberry Association. Farms had several acres with strawberry barns on them. Currently, Pembroke has several businesses in town and new homes are being built. 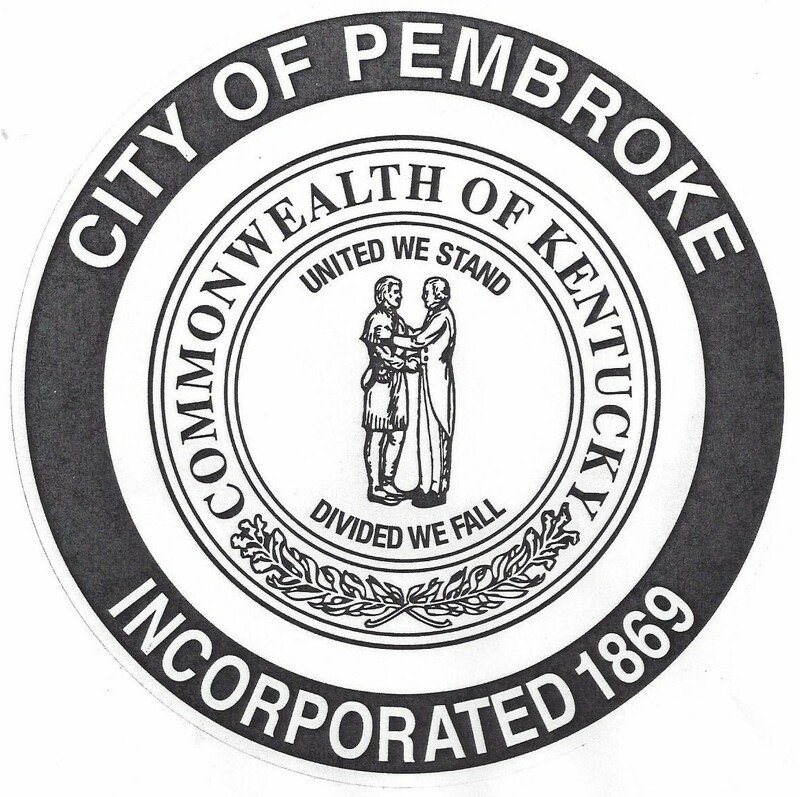 Pembroke has a commission plan of government consisting of a Mayor and four Commissioners. We welcome you to Pembroke and hope you enjoy our town.